The Board of the SCWTCA Endowment thanks the following people for their generosity. These donations fund grants selected by the SCWTCA Endowment Board or provide matching funds for grants approved by the American Kennel Club Canine Health Foundation. 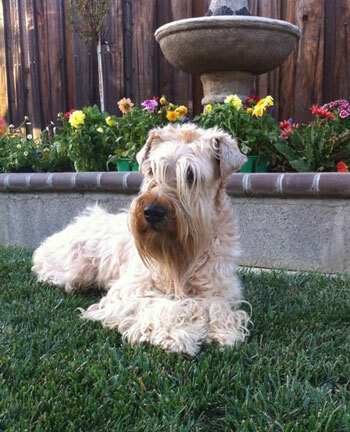 Shirley Gee, In Memory of Patricia Simrell's dear Wheaten "Jack in the Box!" Hiromi Kenjoh, In Honor of 'Kumanosuke' and all the other Wheatens! Steven & Amanda Lachterman, In Honor of 'Dooley Boy'! Shelley Parness, In Memory of Kate Imbrie, an amazing person who made a difference in what she did in her life and the lives of others! Mel & Marcie Granick, In Memory of McClaren's Comedy Central, 'Squash.' We will remember her always. Mel & Marcie Granick, In Memory of McLaren's Comedy Central. 'Squash,' we will never forget you. Roxanna Springer, In Memory of my father, Ihor A. Galarnyk, M.D. David McAuley, In Honor of 'Checkers' Mitzner and his dad's 50th birthday!! Mehran & Laila Taslimi, We appreciate the work your organization does to fund research into the health of this wonderful breed. Amy Havely & Vicki L. Noah, In Honor of our good friend, Nancy Butler, and all she does for Wheatens! Barry & Bonnie Ivler, In Honor of our special Wheatens and the people that own them! We all love this breed so much and are pleased to support the health efforts for the betterment of the breed by designating all proceeds from our annual specialty fundraising raffle and our Wheaten brag fund to the Endowment. Marji Baumann, In Honor of Christy Weagant's generous heart! Janice & Ryan Driver, in loving memory of my Touchstone Sweet Emotion 'Emma.' You were the sweetest ever and remain in my heart forever. Libby Shani, In Memory of Phoebe Miller, an incredible dog who lived a great, long life in the care of her wonderful family: Di, Aaron, Paige, Aiden, and Rigby. RIP Phoebe. XMedia Communications, In Memory of Huckleberry, we remember you and miss you every day. List of Donors updated on 12/16/2015.